The information below provides some general guidance on unsecured debt and how it should be managed effectively within your budget to avoid potential problems with debt. If you’re already facing challenges, don’t wait around to get the help you need. Call Consolidated Credit today at 1-844-402-3073 to tell us about your situation and schedule a free, confidential debt and budget evaluation with a credit counsellor. Unsecured debt refers to any type of debt that is not backed up with collateral. It’s basically a line of credit that gets extended to you in good faith that you will repay what you’ve borrowed. Getting approved for financing that’s unsecured is based on your credit score and overall credit profile. Unsecured debt is the counterpart to secured debt that IS secured by collateral. Essentially a secured debt has collateral that’s specified when you open the line of credit. If you don’t pay what you owe, the collateral is taken to cover the unpaid debt. A mortgage and an auto loan are both secured debts because if you don’t make the payments as scheduled then the lender can take back your home in foreclosure or repossess your car. The most significant benefit for unsecured debt is that you don’t have to worry about your property or assets being taken if you fail to pay back what you owe on time. Falling behind on a credit card bill can be stressful, but that stress is compounded with a car loan if you’re worried about the bank coming to repo your vehicle. By contrast, the only thing that can happen if an unsecured debt goes unpaid is that the creditor can write off the account as a loss (it will be listed as a charge-off) and attempt to collect the amount owed. In a worst case scenario, they can take you to court and sue you to get the money you owe. However, without a court order your property and assets can’t be taken to repay an unsecured debt. This is why most experts encourage caution when taking out a secured loan like a home equity loan just to pay off your credit cards. Most credit cards are unsecured debts, while a home equity loan is secured using your home as collateral. The problem with this is that once you take out the loan to pay off your credit cards you’ve effectively exchanged unsecured debt for secured. Now if you fail to pay back that loan, you can put your home at risk of foreclosure. No. Although the type of cards we traditionally think of when we think of credit cards are unsecured – the kind where you apply for a card, then the creditor offers you a certain credit limit and rate based on your creditworthiness and credit score – there are actually other credit cards called secured credit cards. 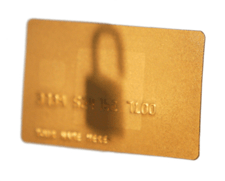 If you’ve used credit before and have a decent credit profile then your credit cards are likely to be all unsecured. However, if you’ve never used credit before or don’t have a good credit score then you may not be able to get approved for unsecured credit cards. In this case, you apply for a secured credit card. The collateral is a cash deposit you put down. In most cases the credit limit is equal to the size of the deposit you make, although some creditors will give you a little higher limit as long as you make a deposit of a certain size. Secured credit cards get paid the same way unsecured credit cards get paid. Your monthly payment is based on how much you’ve charged and can vary as your balance goes up and down over time. The only difference is that if you fail to pay the debt back, instead of sending it to a collector after the charge-off the creditor will simply take your deposit and close the account. Secured credit cards are a stepping stone to unsecured credit. If you can’t qualify for an unsecured credit card, consider opening a secured credit card account and using it for at least six months to a year. This will help you build a positive payment history so you can get approved for unsecured credit card once you’ve had some time to improve your credit score. The second biggest benefit of unsecured debt is that it can be consolidated if you have multiple unsecured debts that all need to be paid back. Debt consolidation is the process of taking several debts of the same type and rolling them into a single monthly payment at the lowest interest rate possible. Unsecured debts can be consolidated – you can consolidate credit cards, store cards, gas cards and unsecured personal loans into a single monthly payment using one of several debt consolidation methods. Student loan debt is unsecured, too, but it can’t be consolidated with credit card debt. Instead, it can be consolidated separately on its own. One form of debt consolidation for unsecured debt is an unsecured debt consolidation loan. This is a loan that you qualify for based on your credit score that doesn’t require collateral. You get enough money in the loan to pay off all of your unsecured debts like your credit cards, leaving only the loan to pay back. This can be a good form of debt consolidation to use if you have a good credit score to qualify for a low interest rate. A strong selling point of this type of consolidation is that if you get into trouble down the road after you’ve consolidated, a debt consolidation loan can be consolidated again using a debt relief option like a debt management program. The secured versions of a debt consolidation loan like home equity loans should be avoided however. If you can’t qualify to consolidate with an unsecured loan, you may be better off using a different option to eliminate your debt.